We might love them, but we don't want to smell them. Crowfield Carpet Care can help! By combining the proper equipment & solutions we can help to tackle even the most stubborn stains & odors. Pet stains & odors come with the territory of owning pets and are the most common problem that home owners call professional carpet cleaners to help solve. While we can't help you with the accidents we can help to rid your house of stains & odors. If the smell remains, the pet often returns to the same spot, making it much harder to train a pet to GO elsewhere! Pets that have "accidents" can give an entire home a very unpleasant odor that can cause health problems for the entire family. Determine the severity of the problem. Treat the problem area as a whole. 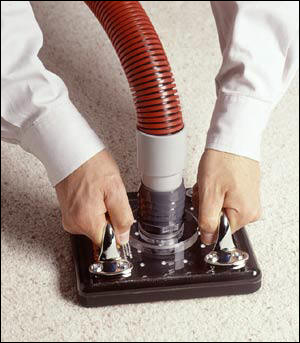 The Water Claw Sub-Surface Spot Lifter literally flushes contaminates from the carpet face fibers, backing & pad. Amazing results can be achieved and even the most stubborn stains & odors can be eliminated! Pricing is $5.00 per square foot with most applications running 1 - 3 feet or $5.00 to $15.00 per treatment. Satisfaction guaranteed - if you are not pleased - YOU DON'T PAY! We are fully licensed & insured! Copyright © Crowfield Carpet Care. All rights reserved.